When I started doing freerunning, I was very cautious. And that meant I was careful to steer clear of any movements that scared me. If a jump looked like it was a bit too far for me, or maybe it required too precise a landing, or something like that. Now, that's changed. Or it's become more fine-grained. I'm still very cautious - I have to be, I'm older than most freerunners (and consequently heal slowly) and I have a dodgy knee before I even start playing silly buggers - I have to be careful! But these days, jumps that are too far for me don't scare me... because I know I can't do them and so I'm not going to try. 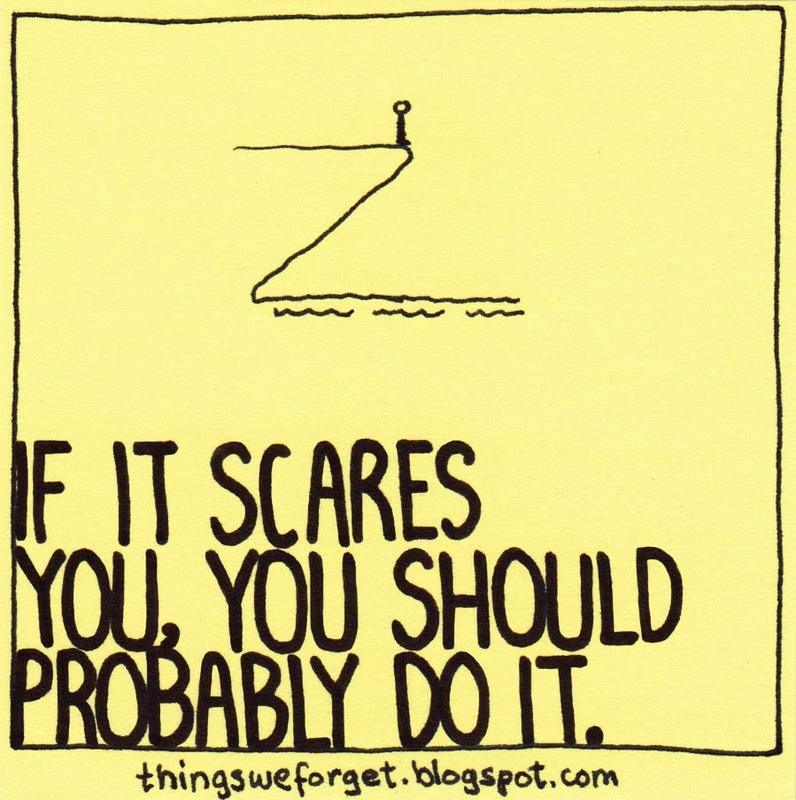 There's nothing scary about a jump that you're not going to attempt.